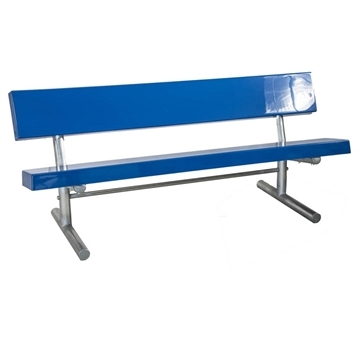 Commercial fiberglass benches from Picnic Furniture are designed to be long-lasting and comfortable, tailored for community parks, schools stadiums, and sporting fields nationwide. Our smooth fiberglass benches are built with durable galvanized steel frames resistant to rust, corrosion, and other harmful weather effects. Available in a wide range of colors and styles, perfect for areas with an emphasis on vibrancy. Picnic Furniture's marine grade fiberglass benches are proudly manufactured in the USA with a 1-year commercial warranty provided. Order online or call our friendly staff for a quote or information on quantity pricing.